Elizabeth Pridgen, recently installed Artistic Director of the Atlanta Chamber Players, onstage at the Shakespeare Tavern in October 2014. Elizabeth Pridgen is the granddaughter of former Atlanta Symphony concertmaster Martin Sauser. She’s performed at Alice Tully Hall, Carnegie Hall’s Weill Recital Hall, and has been featured player at the Amelia Island Chamber Music Festival. Recently, Pridgen assumed the role of Artistic Director of the Atlanta Chamber Players. 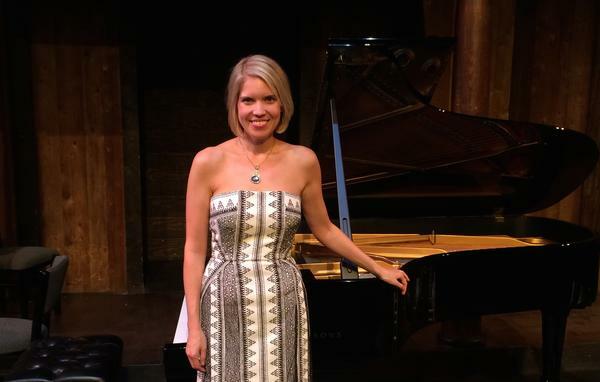 She’s also a full-time pianist, and a full-time faculty member of Mercer University. So far, she says it’s fulfilling to have such a varied life. WABE’s Lois Reitzes sat down with Pridgen to talk about keeping her busy life in balance, beginning her work with the Atlanta Chamber Players and exploring using new social media technologies in arts organizations. Elizabeth Pridgen will be performing with the Atlanta Chamber Players at Spivey Hall on Feb. 27.